The count flag at the top bar depicting the number of suggested edits pending approval seems to have stuck. The Suggested Edits review queue is empty already. I tried both Firefox and Chromium browser, even the private browsing, but the issue persists. Clicking on the flag shows that the queue is empty. I found the related posts Minor suggested-edits notification bug and Number of suggested edits seems to include own edits but the questioner in both the questions noted that he made tag wiki edits which I didn't do. I only reviewed two suggested edits (both from anonymous users) so I'm not running empty when it comes to reviewing the suggested edits. 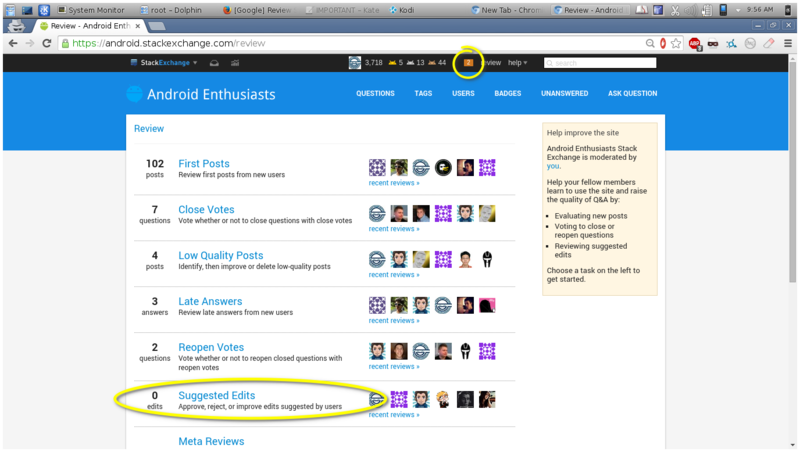 Browse other questions tagged bug status-bydesign suggested-edits .